Guidelines are numbered with three digit numbers, the section number being the first number. Sometimes guidelines are suffixed with a letter. Guidelines are under constant review, with guidelines being periodically updated, new guidelines being adopted, and guidelines being withdrawn. Previous guidelines are maintained on the website for reference purposes. Animal welfare concerns are dealt with by ensuring that animal tests are only permitted where necessary. The guidelines are available in both English and French. Lemna is a genus of free-floating aquatic plants from the duckweed family. These rapidly growing plants have found uses as a model system for studies in community ecology, basic plant biology, ecotoxicology, and production of biopharmaceuticals, and as a source of animal feeds for agriculture and aquaculture. Currently, 14 species of Lemna are recognised. Aquatic toxicology is the study of the effects of manufactured chemicals and other anthropogenic and natural materials and activities on aquatic organisms at various levels of organization, from subcellular through individual organisms to communities and ecosystems. Aquatic toxicology is a multidisciplinary field which integrates toxicology, aquatic ecology and aquatic chemistry. 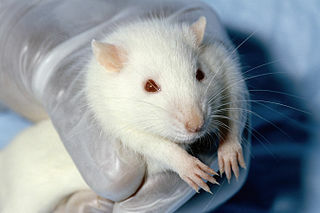 Alternatives to animal testing are the development and implementation of test methods that avoid the use of live animals. A micronucleus test is a test used in toxicological screening for potential genotoxic compounds. The assay is now recognized as one of the most successful and reliable assays for genotoxic carcinogens, i.e., carcinogens that act by causing genetic damage and is the OECD guideline for the testing of chemicals. There are two major versions of this test, one in vivo and the other in vitro.